King Cake isn't just a baked good, it's also a good bake. Each holiday has its own themes, colors, foods, drinks, tastes, smells, traditions... And what cannabis aficionados are discovering is that each holiday also gets its own popular strains, too. 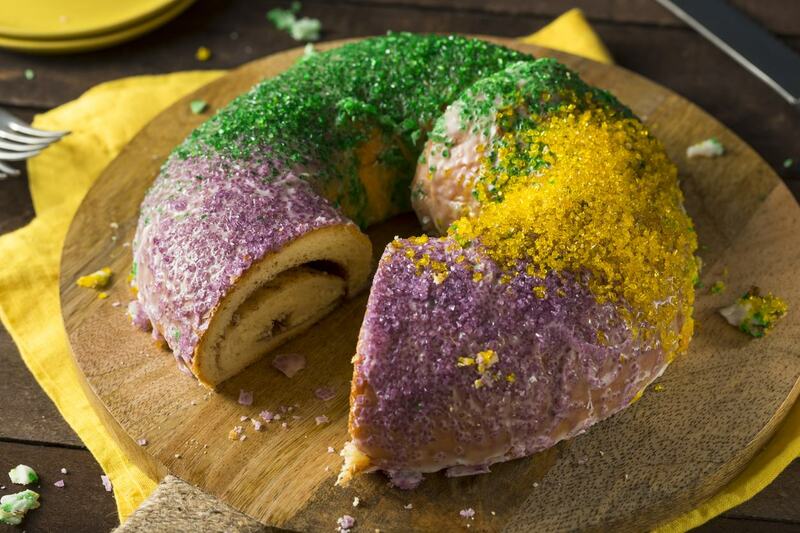 A King Cake is a traditional confection that's served between the months of January and March, often at celebrations such as Epiphany, Mardis Gras, and Carnival. Its origins date back to the Middle Ages and it's associated with the Christian holiday Epiphany. It's eaten before the beginning of Lent - a time of repentance, fasting, and preparation for the coming of Easter. It's in the shape of a circle representing a crown, and it's tradition that there be a miniature figurine of a baby inside the cake. The person that gets the piece of cake with the figurine is either king for a day or has to host next year's Mardis Gras party. The baby represents the infant Jesus Christ from a religious perspective. Despite being named after the traditional Mardis Gras & Carnival dessert that's often found in the deep south of the U.S., this strain was first bred by an Oregon growing operation called Golden Beaver Farms. Because of its delicious terpene profile that brings to mind the sweet and fruity cakes of the Mardis Gras and Carnival celebrations, it was named King Cake - and its colors also mimic the green, purple, and gold colors of the cake as well. The flowers themselves are a deep green with violet hues and there's plenty of golden pistils that poke out. Why? Because it's a delicious hybrid that creates both indica and sativa effects. Those that have tried King Cake have enjoyed it for its potential in driving creative thinking or focusing on the moment. 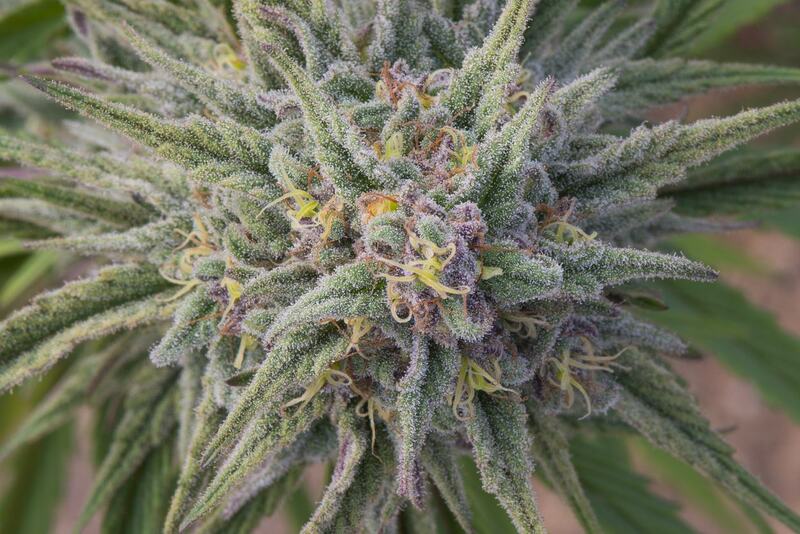 Its cerebral effects have been described as fun and pleasant, while stresses are lifted and anxiety dissipates. Some have used King Cake to relieve social anxiety as conversations become intriguing and speaking one’s mind is no longer an issue - which is perfect for parties and celebrations. Because it’s a hybrid, there have also been physical effects described by fans of this strain such as a light body buzz or a comfortable wave of relaxation which can calm nerves and allow you to enjoy the moment to the fullest. Remember to always try cannabis responsibly and educate yourself on the effects of sativa, indica, and hybrid strains. Cheers! These short films will boggle the mind - unless you're stoned. 2019 will be introducing the first film festival "made by the stoned for the stoned". How will you be celebrating 710 this year? Events Which of These 420 Traditions Would You Adopt? Every holiday has its traditions - what are yours for 420? Those pretty flowers don't have to be just for show.